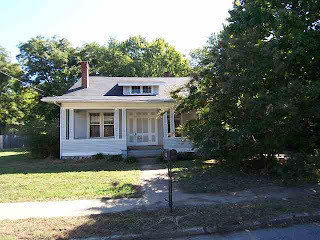 Actually this is not a new dyersburg foreclosure but one that has been drastically reduced. I just toured the house at 420 Saint John Avenue in Dyersburg and it is definitely in need of work. The front of the house has had the roor replaced but not the back half hence lots of water damage in need of repair. The new price is only $19,900 so call me if you are a handy man and want to fix up a property to live in or to flip. This property is listed by Leon at Tennessee Realty. My phone number is 731-589-7841.